Our loft was built in 2000 specifically for the comfort and health of our birds. They have free flight inside their loft well as individual perches so that they may roost at will. Our Loft has hosted flyers from all over the country. Gulfwinds One Loft Race had over 200 participants and guests. A tour of our facility is by appointment only. 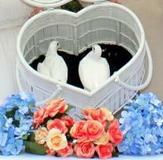 The use of white doves can be traced back to Ancient Greece and Rome where they were gifts from the bride to the groom. 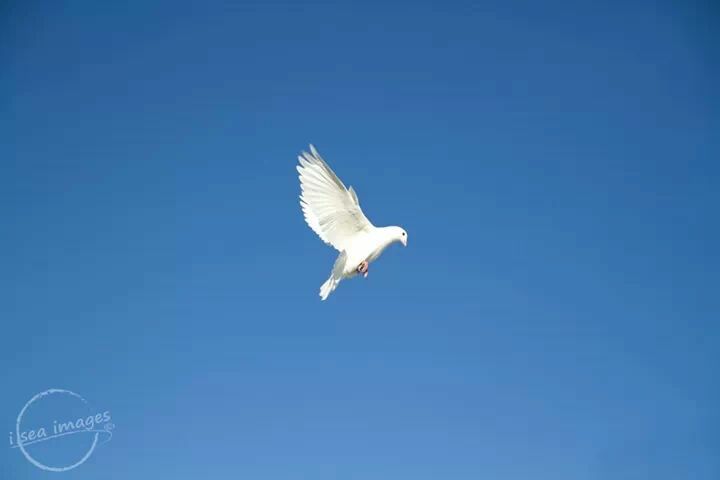 The appearance of a white dove came to symbolize Holiness, Innocence and Fidelity. The white dove falls in love and mates for life. The pair share the responsibilities of sitting and turning their eggs until they hatch . Both male and female will feed and keep their youngsters warm until they have feathers. Mom and Dad will also teach the youngsters to spread their wings and eat on their own. And they have no problem kicking the youngsters out of the nest when they are ready to go! There are several types of doves. White ring neck doves found in pet stores do not possess the ability to home and should NEVER be released in the wild, it will not survive. Therefore we breed and train the White Rock Dove. It is actually a pure white breed of pigeon. The term pigeon in French means dove. The pigeon unlike the domestic dove mentioned above has the ability to consistently return home from distances up to 600 miles plus. The pigeon was used in our military to fly messages to troops far away. 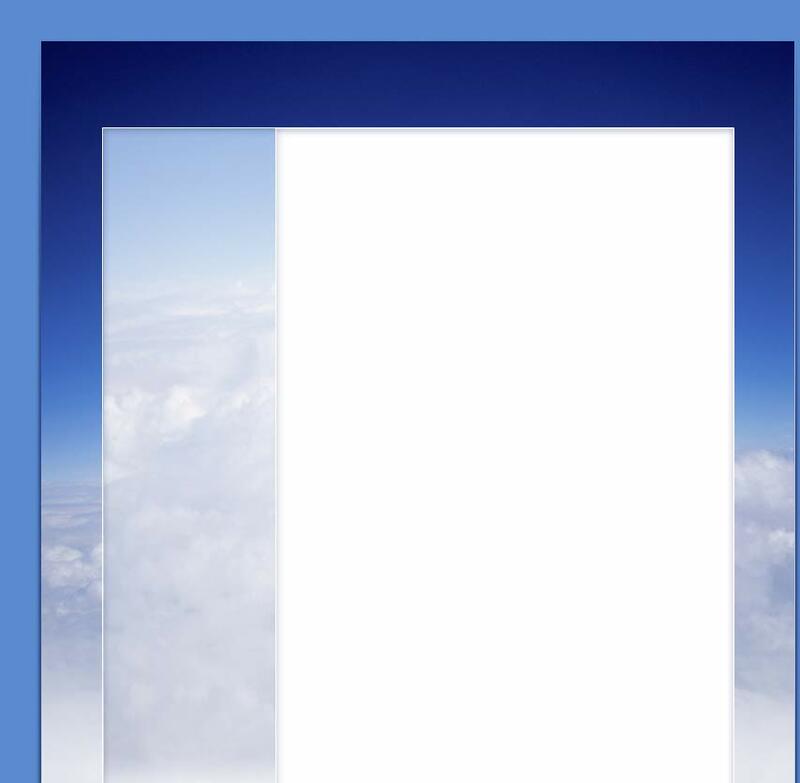 Because they are strong flyers and reliable homers we fly only the White Racing Pigeon. Our birds are regularly trained 50 to 100 miles out. They are fed the best available and vaccinated against disease.